The Governors Bridge neighbourhood was subdivided in 1912 by William Douglas and Wallace Nesbitt. Douglas and Nesbitt were distinguished lawyers at the Toronto law firm of McCarthy, Osler and Company and both men were elected president of the Osgoode Legal and Literary Society during their careers. The actual building of homes in this neighbourhood did not take place until after 1923, when the Governor’s Bridge was opened. This bridge spanned a section of the Moore Park Ravine and received its name due to the close proximity of the Lieutenant Governor’s residence, which was located where Chorley Park is today. The same year that the Governor’s Bridge opened, Wallace Nesbitt and the estate of William Douglas altered their original plan of subdivision for this neighbourhood. All of the original street names were changed in the new plan. Southview Avenue became Nesbitt Drive, Oakdale Crescent became Douglas Crescent and Hawthorne Avenue was changed to Governor’s Road. In the early years this neighbourhood was affectionately referred to as “Little Hollywood” because many of the first houses built in Governor’s Bridge featured Spanish architectural accents. 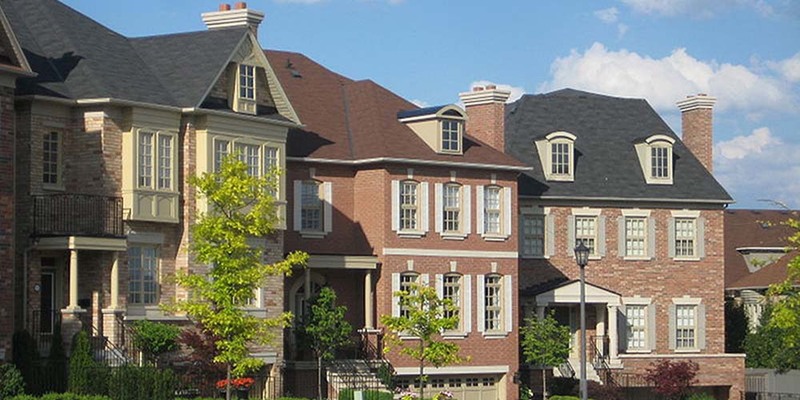 Governor’s Bridge is an exclusive enclave of approximately one hundred and fifteen homes nestled in a wooded ravine valley which hides the fact that this neighbourhood is just five minutes from downtown Toronto. There is very little turnover of homes in this highly sought after neighbourhood and its easy to see why once you experience the peace and tranquility that this idyllic setting offers to its residents. The Governor’s Bridge neighbourhood features an eclectic mix of houses that come in all sizes, shapes, and architectural styles. These houses were built in the 1920’s, 1930’s, and 1940’s. Many of the original bungalows are being torn down and replaced bynew custom designed houses that fit well on the generous size lots that are characteristic of this neighbourhood. For those seeking the ultimate in privacy the houses on Douglas Crescent sit perched atop the wooded slopes of the Moore Park Ravine. Blue Jays, raccoons and even the occasional fox are some of the wildlife to be spotted from the backyards of these homes. The Governor’s Manor, located at 67-93 Douglas Crescent has recently been converted into upscale condominium townhomes. This English Tudor style apartment, built in the 1920’s, is a stately looking building that adds to the grandeur of this exclusive neighbourhood. The closest shopping district to the Governor’s Bridge neighbourhood is a cluster of stores and a shopping plaza located at the intersection of Bayview and Moore Avenues. This group of stores includes a national grocery store, a pharmacy, a dry cleaner, and a bank. Residents of this neighbourhood also shop along quaint Summerhill Avenue in the Rosedale neighbourhood. Further north on Bayview Avenue is the Leaside shopping district. This upscale shopping area includes fashion boutiques, antique stores, gift shops, professional services, gourmet coffee shops, specialty food stores, and a number of restaurants and cafes. The Evergreen Brick Works situated in the Don Valley ravine off the Bayview Extension seems like a world away from everyday life in Toronto. 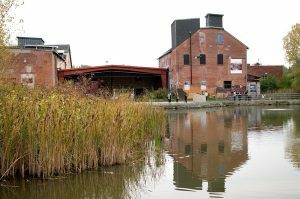 Evergreen Brick Works is Toronto’s newest Green initiative and it is attracting visitors of all ages from all parts of the city who are gathering here to shop at the popular farmers market, hike along nature trails and to learn about Toronto’s urban nature. The Brick Works; formerly known as the Don Valley Brick Works originated in 1889. Many of Toronto’s early houses were made from bricks manufactured on this site. Thanks to the City of Toronto and its partners, as well as private citizens, $32 million has been raised thus far in an effort to rehabilitate the former brick-yard and to restore the historic building’s on this site. The master plan for the Evergreen Brick Works is to cultivate a multi-purpose community space combining the historic buildings on the site with an interpretive outdoor centre where individuals can learn about native plants and gardening, local foods and cooking, green design and the ravine eco-system. For sure one of the highlights of the Evergreen Brick Works that has already emerged is the immensely popular Saturday Farmers’ market. There are a plethora of vendors at this market selling everything from native plants and organically grown local fruits and vegetables to freshly baked breads and organic meats. One popular vendor delights the early morning and lunch time crowd by selling freshly made crepes as well as breakfast burritos. Waffles and organic lemonade are other popular stops for hungry shoppers enjoying the fresh air of the open market. The Evergreen Brick Works Farmers’ Market is open every Saturday from 8am until 1pm until October. Governor’s Bridge residents can catch the Rosedale bus on Summerhill Avenue. This bus route connects to the Rosedale station on the Yonge-University-Spadina subway line. Motorists can quickly access the Bayview extension at the north-east section of this neighbourhood. The Bayview extension provides motorists with a quick passage into the downtown core. For decades it was the best kept secret in town. Nowadays it’s a great come-back story and shining example of what Toronto’s MTB community has done over the last 25 years. Toronto’s Don Valley is one of the largest urban trail networks anywhere. With over 70km of intermediate to advanced single track it’s possible to ride all day and not cover it all. The Don Valley’s trails are best described as varied, consisting mainly of smooth and well groomed trail sections, thanks largely to a dedicated army of local volunteer trail builders. 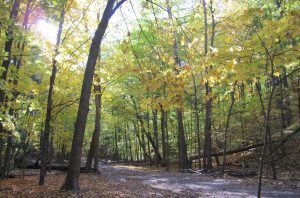 The Don is also one of the busiest trail networks you’ll find anywhere, being in the heart of Toronto and popular with not only bikers but runners, hikers, naturalists and dog walkers it has an atmosphere all of its own. Navigation is one of the biggest challenges here. Because of its size the Don has many entrances and multiple off shoots from many of its trails. The good news is that it’s all contained it a fairly narrow ravine so no matter how lost you become salvation is a short climb away. Not to mention the multiple Starbucks, burger joints and beers stores! A former quarry, the Brick Works is considered an urban model for ecosystem planning given its extensive landscape restoration, re-naturalization and wetland re-establishment. A quiet 5 hectare park near Mount Pleasant Road and St.Clair Avenue East featuring a mature tree canopy and picnic tables. 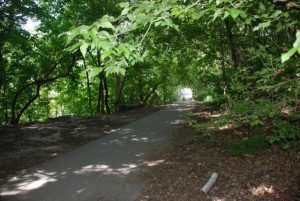 The park overlooks the Don River Valley with trails that lead down into the valley connecting with the Beltline Recreation Trail and the Don Valley Brick Works. Todmorden Mills was a small settlement located in the Don River valley in Toronto,Ontario. It started out as a lumber mill in the 1790s. Originally known as “Don Mills”, it grew into a small industrial complex and village before becoming part of East York in the 20th century. 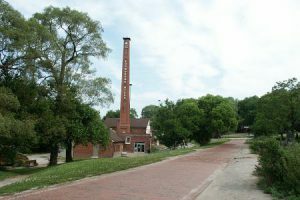 Currently the valley site is occupied by the Todmorden Mills Heritage Museum and Arts Centre, which includes the museum, art gallery, a theatre and a forest preserve. A small park near Bayview Avenue and Moore Avenue featuring a ball diamond, two lighted outdoor tennis courts and a children’s playground.